Gloucester Road is well known for its numerous charity shops, and despite the difficult economic climate, it seems sales of second-hand clothes, furniture and homeware are still going strong. Last month Oxfam reported a 9.9 per cent drop in net income from shops nationwide, but Gloucester Road’s often-busy charity shops seem to be bucking this trend. Cancer Research UK has had a store on Gloucester Road for more than 20 years. 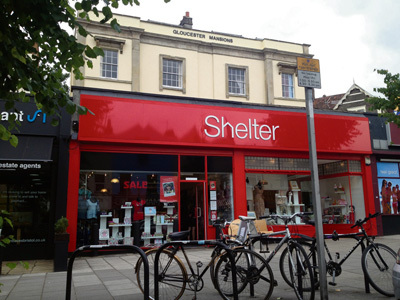 Earlier this summer, housing and homelessness charity Shelter opened a new store on the Promenade, Gloucester Road, and it has been a busy first few months. Little Steps, a charity shop supporting Children’s Hospice South West, has recently celebrated the first anniversary of its launch on Zetland Road. The shop sells a mixture of pre-loved and new goods for under sevens. A spokeswoman for Marie Curie Cancer Care said some of their shops are doing better than others, but overall the charity has been boosted by the warm weather, as people look for second-hand summer clothes while high street shops are already stocking autumn trends. The area is also home to the city's first department store style charity shop. 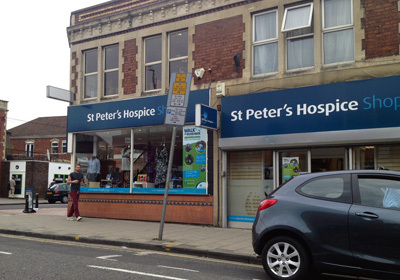 The St Peter’s Hospice shop opened in 2011 and is set over two floors with sections for menswear, childrenswear, furniture, books, wedding dresses and vintage clothing. The shop, previously home to Tile Flair, was taken by the charity after its smaller Horfield shop closed. Janet Loud, head of shops, said: “Since opening our Gloucester Road shop we have been overwhelmed by the support from the local community which continues to shop with us and donate unwanted items. Our previous Horfield shop was also a great success and we wanted to remain within the heart of the community.